The advent of digital technology has brought changes in the print industry with the introduction of latest printing technologies and solutions that offer convenience and lower cost to users as well as helping business operations remain relevant and competitive. While many assume that print will no longer be relevant as the world becomes more and more digitalized, this, however, has not been the case as printers have evolved, and print remains a vital requirement in communication across businesses in the Philippines. “We may have gone more digital over the years, but the amount of information we print day-by-day remains to keep the local print industry relevant,” said Francis Chua, marketing manager at HP Philippines. Data collected from the Philippine Printing Technical Foundation (PPTF) showed that the print industry has around 3,000 printing businesses in the Philippines, 20 of which are part of the country’s Top 1,000 corporations. This indicates that despite the rise of digital technology today, print still proves to be a vital component in the way we function and go about our daily lives, according to Chua. As organizations embrace the digital age, the demand for printers in the country has steadily grown with the entry of better designed, powerful, compact and affordable devices for home and office spaces. 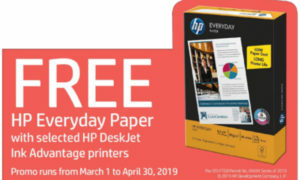 Chua noted that HP printers have become better suited to micro and small enterprise owners who want to invest in a reliable and cost-efficient equipment to grow their business through decreased operational expenses or increased profits. Chua claimed that some of their printers can take on multi-tasking jobs while ensuring only the best in quality outputs. For MSMEs, business expansion and evolving technology gives them enough reason to invest in the latest HP printers which can greatly contribute to savings and profits. Mobility printing also allows them to work on the go, enabling print functions of any device – mobile, tablet, laptop – wherever and whenever they need it. Chua also said that their customers usually buy printers during school breaks as parents ‘level-up’ on the needs of their kids, investing in laptops and printers, especially when they realize how these can enable their kids’ assignments and projects shine with creativity when they back in school. 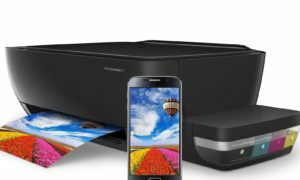 Despite the growing demand for printers, the sale of this peripheral device in the Philippines has not been adversely affected by the increasing rate of inflation which rose up to more than six percent last year. According to Jan Edward Saballo Taneca, market analyst, Imaging, Printing, and Document Solutions at IDC Asia/Pacific, vendors were able to anticipate and absorb the initial impact of the rising inflation, with the printer market showing growth for the past few quarters. They also continued their end-user and channel programs in promoting their products which helped market demand to be stable. Good aftersales service and availability as well as launching promotions such as bundles, discounts, and freebies push vendors’ printer products to the market. Taneca also said that in terms of channel programs, vendors continued to cultivate and improve their relationships with their partners by continuing to have incentive trips, rebates for well-performing channels, and trainings. They are also continuing to find new partners especially in rapidly developing urban areas outside Metro Manila such as Cebu, Davao, and areas in Northern and Southern Luzon. Dealers are also offering installment payments for printers, making these products even more affordable to homeowners and small businesses. Total spending for printers in the Philippines reached US$163-million in 2017 and US$78-million in the first half of 2018. In terms of volume, inkjet and laser single and multi-function printer shipments reached 975,335 units in 2017 and 475,308 in the first half of 2018. Inkjet printers are increasingly becoming more attractive to home users and MSMEs as well. Taneca noted that among countries in Asia, the Philippines showed the highest share of inkjets in their respective national printer markets in 2017. In 2017, inkjet printers accounted for 94% of the total Philippine printer market shipments and showed a 14% year-on-year growth. The improvement in the demand for inkjets was due to the affordable price of the devices and their consumables, as well as in the ease of using these products. The local printer market has witnessed a technology shift, with customers showing an increasing inclination towards ink tank printers over laser printers. 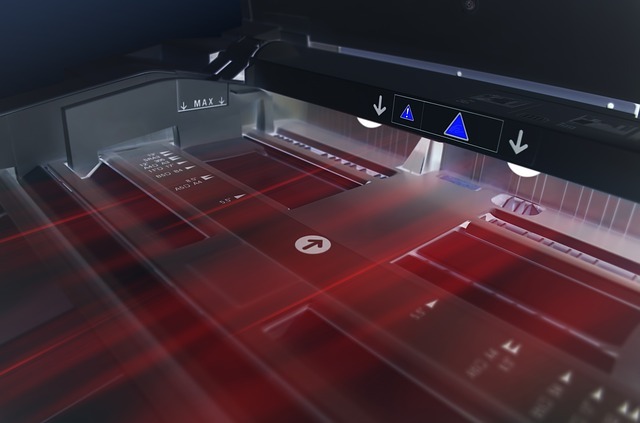 Taneca said the growth in inkjet shipment affects the laser printer market as some businesses which previously get mostly laser products are now beginning to shift to ink tank printers. In addition, the continuing development of ink tank technology which resulted into better printing quality and speed led to the increasing adoption of ink tank printers even in enterprises or large businesses, which were traditionally the domain of laser printers. The government has also begun exploring the use of ink tanks as an alternative to laser printers, with various agencies having projects and tenders for ink tanks over the past few years. Despite the growing popularity and adoption of ink tanks, laser printers are still being used in corporate and large companies. “Laser technology is already tried and tested, and these establishments are already familiar with laser printers and are not too eager to switch to inkjet technology despite the latter’s advances,” said Taneca. To keep customers satisfied with their products and services, HP continues to focus on innovating products and services that are beneficial to them. An example of this is the HP Managed Print Services which helps customers optimize, manage, and improve their printer fleets and digital workflows by combining hardware, software, supplies and services. 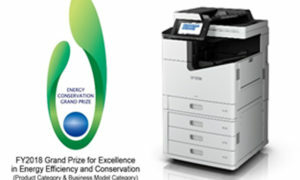 This service can help organizations reduce printing-related energy usage by up to 40%, decrease imaging and printing costs by up to 30%, and lower paper waste by 25% or more. Chua said HP has been working to reduce the amount of materials used to make its printers and phase out substances of concern in those products to address the potential impact these may have on businesses and the environment. HP also continues to drive its graphic solutions business by reinventing commercial print experiences for brands and consumers. With its local partner, WSI, HP has recently made 3D printing available for manufacturing, healthcare, construction, and engineering industries in the Philippines. Globally, HP expanded its 3D printing portfolio with the industry’s only 3D printing technology for engineering-grade functional, full color parts, with the aim of selling 3D metal printing in the near future. Considered as a risk to network security, printers may be used by anyone who wants to wreak havoc in the organization. To ensure confidence and ease of security, HP engineers the most secure business printers, apart from bringing to customers the most secure business PCs. “While many IT departments apply rigorous security standards to PCs, tablets, and other connected devices, they often overlook the printer. HP is addressing this by engineering printers that are secure by design, with powerful layers of protection for the device, data and documents,” said Chua. With a commitment called HP SECURE, HP continuously strives to create the most secure and resilient products, solutions, and services for businesses. “It is the way we develop our products, as security is critical to all of HP’s innovations,” said Chua. Chua also said they are reminded daily that hackers don’t go after strongest defenses. They go after your weakest endpoints like PCs, printers, and unsuspecting employees. A growing number of those attacks are targeting endpoint devices such as network-connected printers and PCs and at HP, they make sure they provide the highest level of endpoint security – a smart technology that detects and self-heals without any downtime. Focusing on the requirements of its customers, HP always put them at the forefront of the work it does, constantly innovating to keep up with the ever-changing global trends. HP is now offering, and will continue producing, next-generation printers which aside from delivering faster speeds, and low-cost quality prints, they also boast new functionalities needed for home and business use. “Our products and services are always aimed at addressing the needs and demands of our customers’ lifestyles and businesses. HP will continue to address these changing needs and innovate accordingly,” said Chua. To be specific, Chua said it’s about helping children bring out their creativity by printing what they love and allowing parents to be involved with their children’s work even when they’re at the office through wireless and mobile printing. In addition, it is about supporting big and small businesses, providing a whole suite of affordable and reliable printers that cater to their specific needs. It’s also about helping them generate profits by driving productivity while lessening operating costs through more affordable consumables such as toners and inks.